Ubisoft revealed the dates of the Private Beta for Tom Clancy’s The Division® 2, the newest iteration of one of its most critically acclaimed and best-selling franchises. 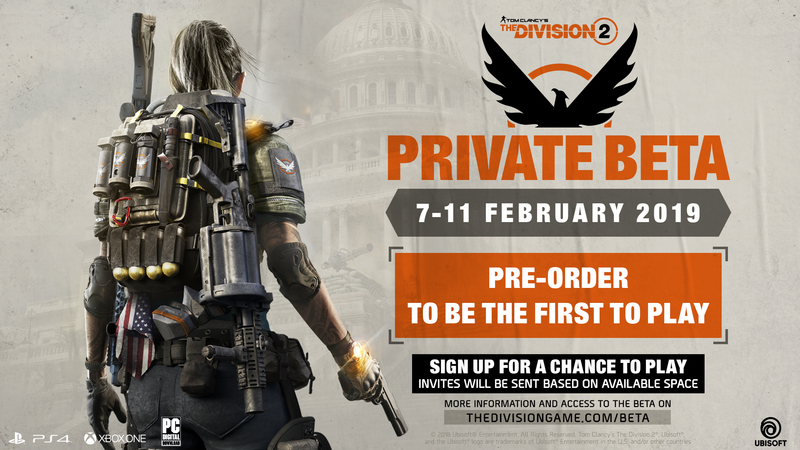 Players who will have pre-ordered Tom Clancy’s The Division 2, will be able to put their hands-on the game from February 7th to 11th 2019. Other players will have a chance to join the Private Beta by registering at http://thedivisiongame.com/beta.